I am happy it is Friday. It was seven days till we were off to Italy! I had noticed during lunch Mitch posted something about preparing for the Italy Cruise and he hads grapes to pick and wine to bottle. Once I had read the post I immediately commented back “Looking forward to drinking a glass with you Mitch, and hopefully you bring some yummy wines with”! Recently Chris brought home a large Zucchini. This guy could have been considered a weapon. While contemplating what to do with it, Chris asked “How about a Zucchini Lasagna”? It has been some time since we had Lasagna, so we now had a plan. Chris had me pull out the meat slicer so that she could be sure not to cut the Zucchini too thick. Soon, she had the Zucchini sliced to perfection. Perfection = the same thickness as the pasta was to be used. Now about the wine. As she was preparing dinner, I heard some familiar words “Sure would be nice to have a glass of a yummy wine while I cook”. Well, it does not take a Rocket Scientist to get her hints and I was on my way down to the cellar. 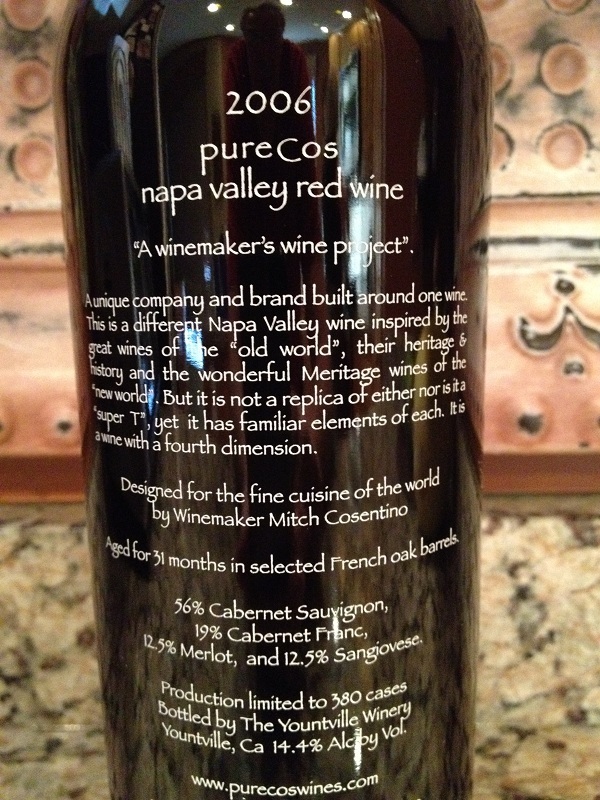 Since Mitch and I had communicated earlier that day, I was planning to pull a bottle of his latest adventure pureCru Napa Valley. 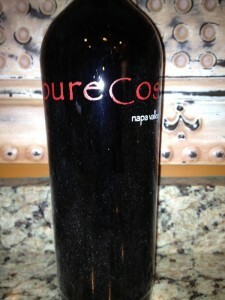 It did not take long to figure out what I wanted and grabbed a bottle of his 2006 pureCos. The pureCos is considered a Napa Valley Red Wine. 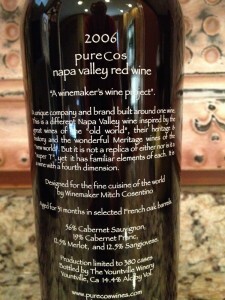 It is a blend of 56% Cabernet Sauvignon, 19% Cabernet Franc, 12.5% Merlot, and 12.5% Sangiovese. The alcohol content was 14.4%, which I liked. Sometimes wines with a higher alcohol content have the smell of alcohol and a burning taste; his does not. Chris smiled when I brought the pureCos to the kitchen. If I have note mentioned it, Chris is Mitch’s biggest wine fan! 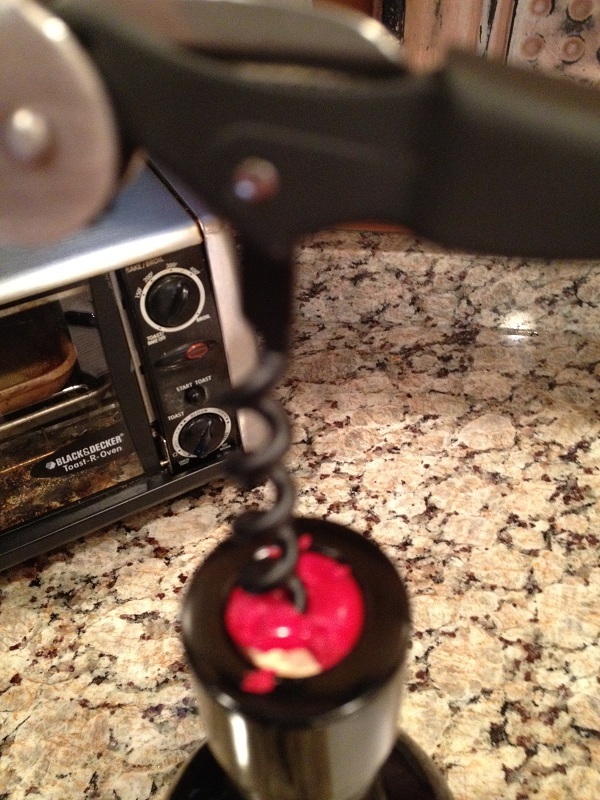 I grabbed my tasting sheet along with my cork screw. The top of the bottle did not have foil and there was a bright red wax ball right where the cork is. The first thing I had to do was remove the wax. After a bit of trying to cut through the wax and I decided that was not going to work. 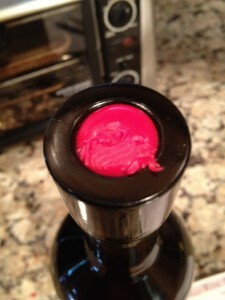 It was time for plan “B” and I inserted the cork screw directly into the wax and worked my through. That worked perfectly, but I plan to ask Mitch “Why wax?” when I see him next. 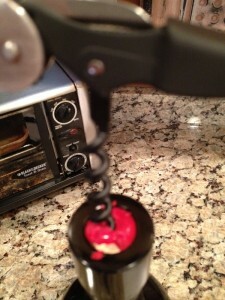 With the cork finally out I poured us a glass and proceeded to take some notes. The pureCos had a Garnet to Ruby hue. The color depth was medium with no sediment. It was very aromatic, which was no surprise as most of his wines are. Some of the aromas I could smell were Vanilla, Cherry and Bilberry. 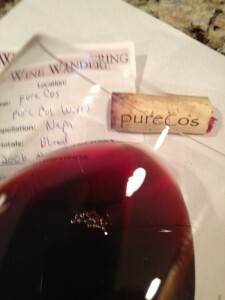 The pureCos was full bodied and the acidity was great. The under part of my tongue watered as I drank the pureCos. The tannins were medium and were felt in the middle of my palate. The flavors we tasted were Caramel and Bing Cherry and it just tasted good! The finish was long and very smooth. We sat and sipped the pureCos for a few hours and it was almost time to eat. 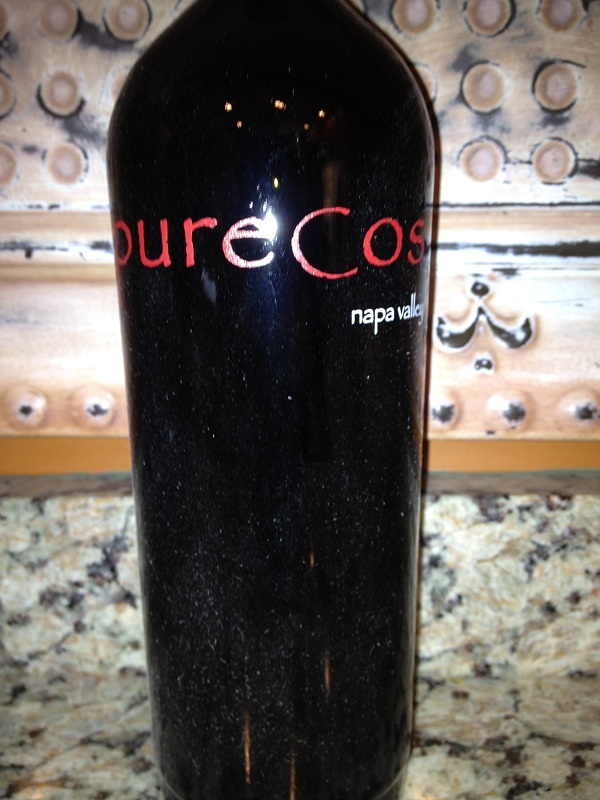 We rated the 2006 pureCos Napa Valley Red Wine four glasses! We were looking forward to seeing Mitch the next Friday!